FESTIVAL MASTERCLASS, Morning session, 10.30 - 11.30am: Learn how to prepare the most delicious veggie dishes on your barbecue. From grilling to smoking, you’ll be amazed at what you can cook. In this masterclass you will learn techniques that can be adapted to your BBQ at home. 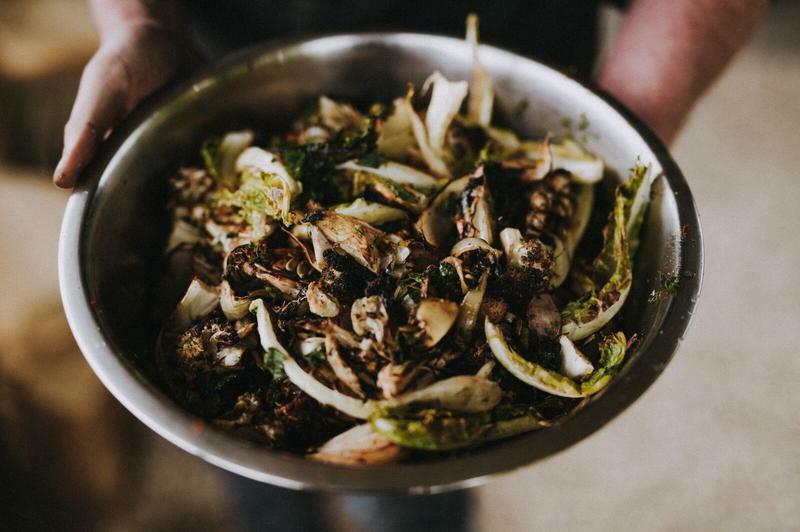 You will make a mezze of seasonal veggie dishes such as Grilled little Gem with Salsa Verde, Babaganoush, grilled fennel salad and fresh flat breads. Afterwards you will head off with a delicious plate of goodies to tuck into and enjoy! James Whetlor will teach this masterclass. James has been cooking professionally for over 20 years and BBQing for the past 5 years. This masterclass will take place in our outdoor cookery area from 10.30-11.30am. Please note that you will need to have purchased an entrance ticket to the Festival to take part in this masterclass.